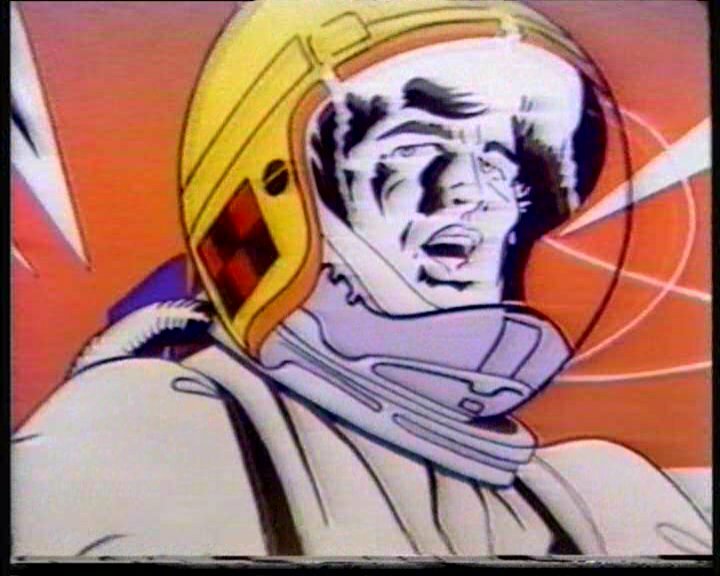 Space 1999 was the second live action television production from the fertile imagination of Gerry Anderson. 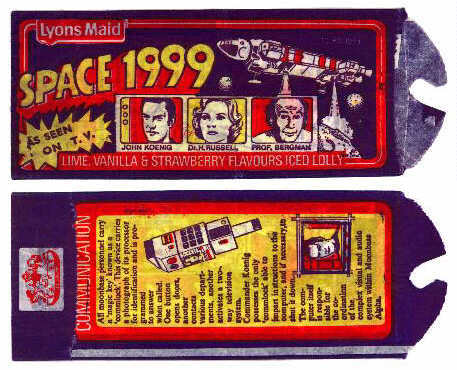 But I don’t want to talk about the show itself – I want to talk about the ice lolly of the show! More information on the advert here. It’s that time of year (the Summer!) – the time when all you want to do is eat frozen lumps of flavoured ice on a wooden stick (and don’t you just hate it when you lick the dry bit of the stick at the bottom by mistake?). 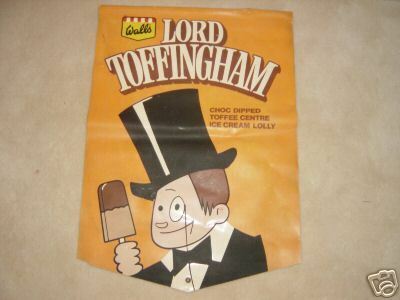 Ice Lollies are a reflection of the times – it’s true! 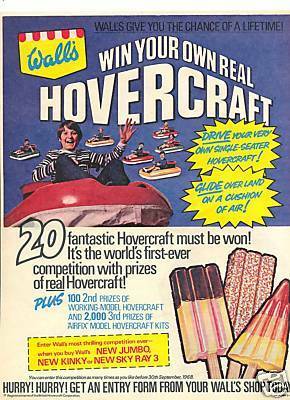 For instance, it reflects what is popular in culture, like ‘Bionic’ lollies – you wouldn’t sell many nowadays (except to sad sack nostalgists like me), but in the Seventies – form a queue please boys and girls! Check out the visuals! 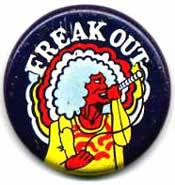 A few slurps on ‘Freak Out’ and your favourite singer (in this case, clearly modeled on Robert Plant) gets a very fiery complexion, with big waves of colour emanating from his head, as his eyes roll back in his head – or maybe his pupils have just…..disappeared….jesus….i’m freakingout…took too many slurps on that Lyons iced lolly…….. 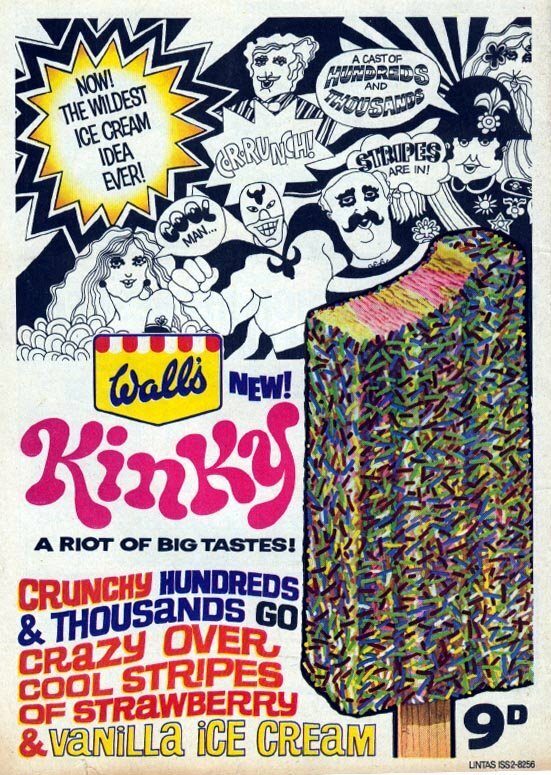 The site describes the lolly itself as ‘A strawberry and lemon ice cream marbled together to form a psychedelic pattern on a stick. Price 5p.‘. See the site for yourself here.